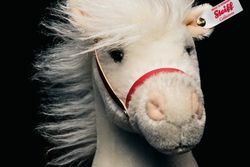 With arched neck, pricked ears and gently flared nostrils, Olivia horse eagerly awaits her next moment in the spotlight. 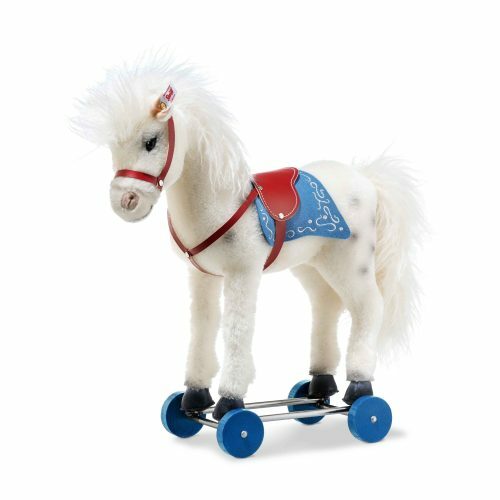 The dapple-grey mare on wooden wheels is based on early Steiff circus horses. 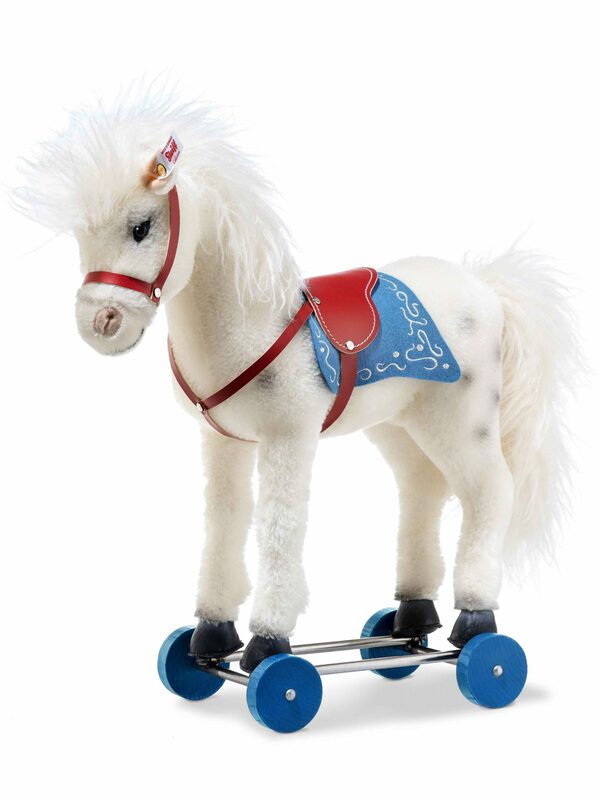 The tail and mane are made of lush long-pile mohair, its saddlecloth decorated with silver ornaments.